Todd, if you were kind enough to return "over 90%" of the money that your program participants sent you, how much of the $822,000 that they did not get back did you put in your own pocket? Soapboxmom, path2prosperity, okosh and 2 others like this. Just like all the other thieves, calls his BS crap "companies". Soapboxmom, EagleOne, path2prosperity and 2 others like this. EagleOne, okosh and ribshaw like this. 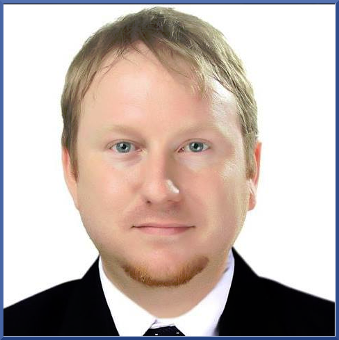 Pity the poor newbie who decides to follow Todd Hirsch into Real Destinations International. 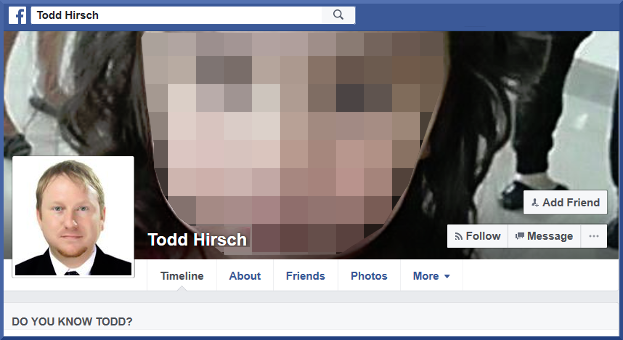 He / she would have to be a Rhodes scholar to work out with which "Todd Hirsch" he / she is dealing. Soapboxmom, shipdit, Joe_Shmoe and 3 others like this. 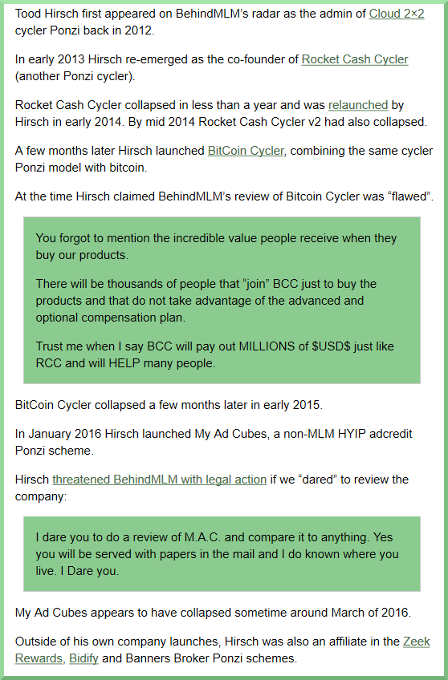 And now good old Rune F is pimping Hirsch's latest scam!!!!!! Our Todd Hirsch is famous. I guess there must still be some people who believe the Todd Hirsch crapola, it's hard to imagine who would, though. The Real Destinations International page shows "suspended page", of course. I'm sure that status was achieved long before I happened to notice it while researching stuff today. 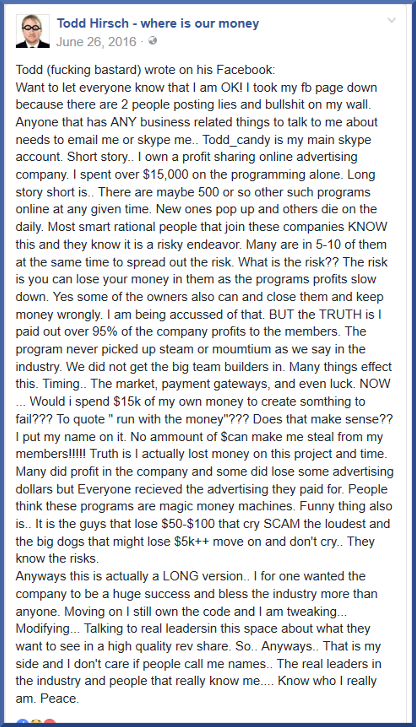 Newbies, Todd Hirsch has a long history of promoting get-rich-quick schemes that have all proven to be Ponzi and/or pyramid SCAMS. 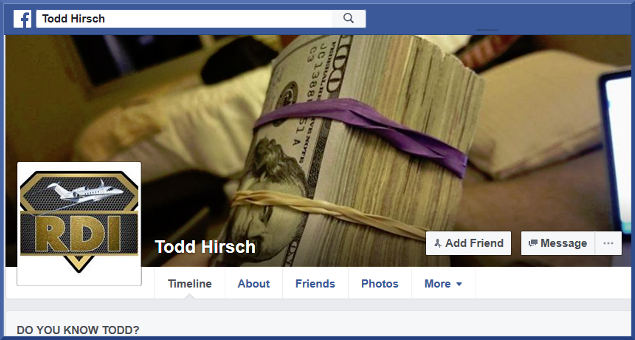 If Todd Hirsch is promoting it, stay away or lose your money.